LaHave Audio, located in Nova Scotia, Canada, has been building innovative and outstanding quality audiophile-grade speakers for the past 25 years. They have many high-profile customers who speak very highly about their products (click here for reviews and testimonials). Recently, Digital Recordings' staff had the privilege of listening to the LaHave Audio Reference Series speakers. We were very impressed! It's not an easy task to design a good sounding speaker. As a complex electro-mechanical device, a speaker has to accurately reproduce waveforms which have very wide frequency and dynamic range and are full of fast transient sounds. Speakers have to do this in order to reproduce equally well Stradivarius violin, Steinway piano, Diana Krall's or Luciano Pavarotti's voice, entire music band or symphonic orchestra. So, in a sense they are the ultimate acoustical instrument and they are the most important and critical part of a sound reproduction system. How can one expect to faithfully reproduce a $500,000 violin or a $200,000 grand piano on just any speaker? An impossible task, isn't it! 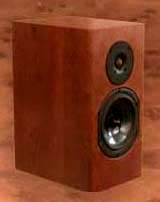 The LaHave Audio Reference Series speakers are built without any compromises. They are made for the most discriminating ears of musicians, audiophiles and avid music lovers. 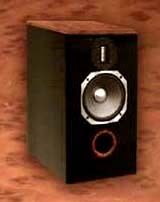 The sound from LaHave audio speakers is very pleasant and the most natural we have ever heard. There is no coloration or boxiness from these speakers, they simply "disappear". Stereo imaging is very good and immerses the listener in the acoustical space of the recording. They create sound which is very pleasant in the entire room, not only in the "sweet spot". The reproduction of various instruments and voices is effortless and natural. We didn't notice any fatigue while listening to them at high 90-100 dB levels for an extended period of time (30 min to 1 hour). This is a very good sign since many speakers lead to quick fatigue at these levels. LaHave Audio uses expensive high-quality drivers in their speakers. Their proprietary speaker enclosure and crossover design is scientifically-based and the speakers and crossovers are hand-made from top quality materials. The frequency response of these speakers is very wide and very smooth. Top-quality drivers, custom-made crossovers, and the proprietary enclosure design all result in very wide dynamic range. The speakers play effortlessly and well both soft and loud passages on any type of music. The transient response of these speakers is very sharp and accurate. There are no audible resonances, harmonic or intermodulation distortions. 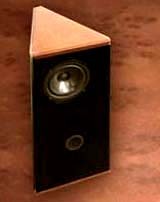 The dispersion characteristics of these speakers is very smooth and very wide. The stereo imaging is fantastic due to critical placement of the drivers. For more information about the speakers, and for dealership inquiries please contact Digital Recordings directly. Copyright (©) 1989-2010 by Digital Recordings. All Rights Reserved.